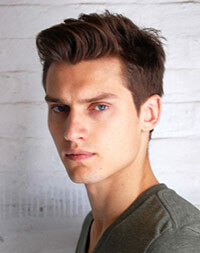 Vladimir Ivanov was born in Kyrgyzstan, Russia, on September 20, 1988, is an Russian American male model. He was discovered by model scout from modeling agency JE Model Management in San Francisco. He began his modeling career in 2008, signs with Wilhelmina Models. He made his modeling debut in Numéro Homme, photographed by Greg Kadel in 2008. Become the face of Sisley in 2011. Vladimir's hobbies are to playing the guitar and watching The Simpsons. His brother Andrey is also a fashion model. GQ Style Russia, L'Officiel Hommes, Electric Youth, FHM Collections China, GQ Australia, Lab-A4, TWELV Magazine, GQ Style Brasil, V Man online, Gentleman Italia, August Man Malaysia, Hercules, Nylon Guys, Vogue Germany, ODDA Magazine, Fiasco, Maxim Italia, Essential Homme, V Man, Vogue Mexico, South China Morning Post Style Magazine, Slurp, Details, Guapo, GQ Style Germany, Vogue China Men, Contributor Magazine, Hercules, Man About Town, 10 Men, Surface, Out Magazine. Louis Quatorze, Perry Ellis, Trussardi, Victorinox, H&M, Ermanno Scervino, Calvin Klein Swimwear, Dockers, John Galliano Eyewear, Blanco, Sisley, Gant, Lacoste, Barneys, Ermenegildo Zegna. Walked runway for John Galliano, Nautica, Joseph Abboud, amfAR, Gant, Ermanno Scervino, Trussardi, Dolce & Gabbana, Dsquared2, Banana Republic, DL1961, Elie Tahari, Nicholas K, Parke & Ronen, Roberto Cavalli, Corneliani, Hugo Boss, Frankie Morello. Represented by agencies VNY Model Management New York, Ford Models Europe Paris, Elite Milan, Models 1 London, JE MODEL San Francisco, Sight Management Studio Barcelona, 2pm Model Management Copenhagen. I'm Russian so I only drink Vodka.